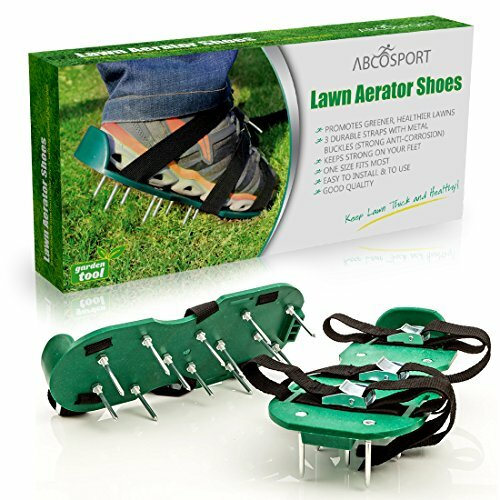 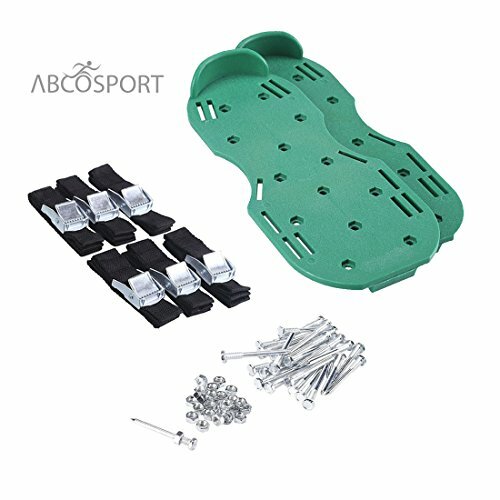 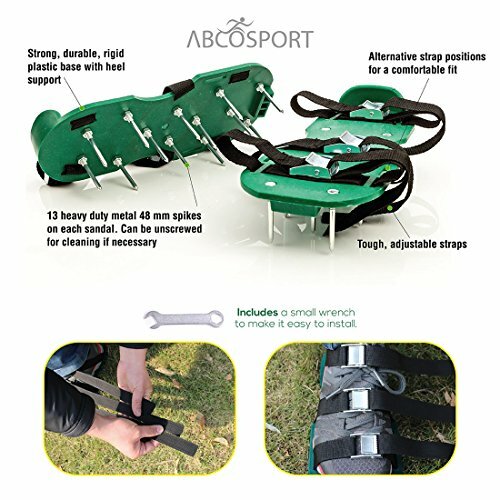 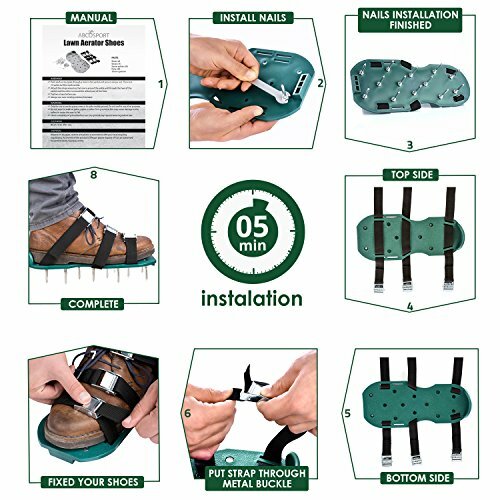 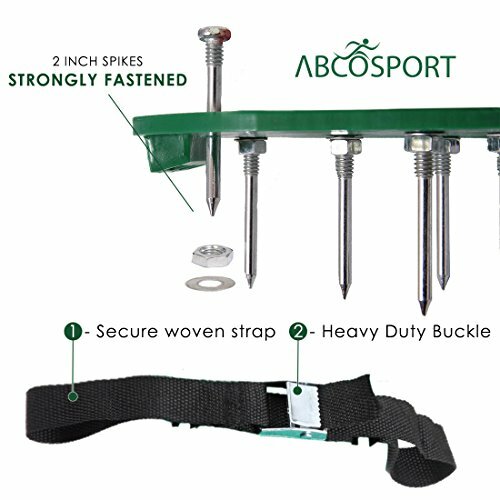 ORDER NOW and get these incredible shoes to effectively self-aerate your lawn!PROFESSIONAL GRADE AERATION – Abcosport Lawn Aerator Shoes make it extremely easy to achieve the necessary aeration of soil yourselves for a way greener, healthier and more beautiful lawn. 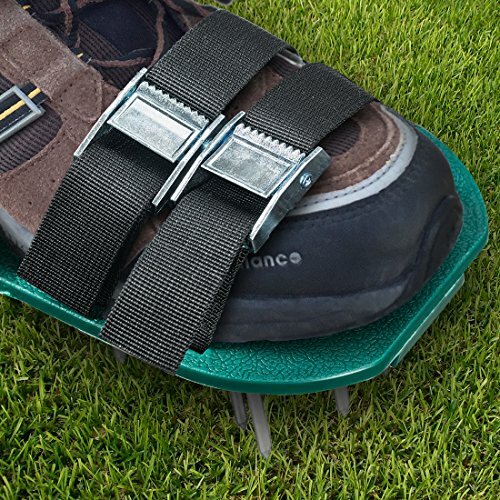 It’s not a rocket science – simply wear our lawn aerator shoes and walk around to cover the entire length of your garden. 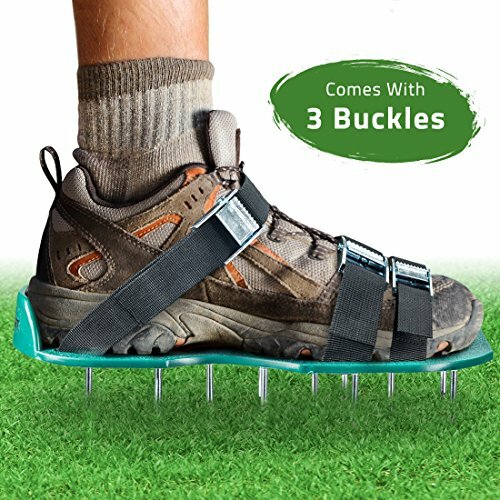 Even better is wear them while mowing your lawn so that you accomplish two important tasks simultaneously. 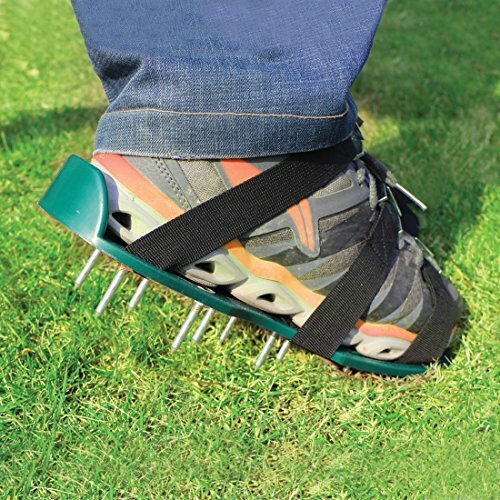 100% RISK-FREE SATISFACTION GUARANTEE – Abco lawn aeration shoes not only ensure a healthier and greener lawn but also come with a 100% risk-free satisfaction guarantee to let you buy with confidence; no questions asked. 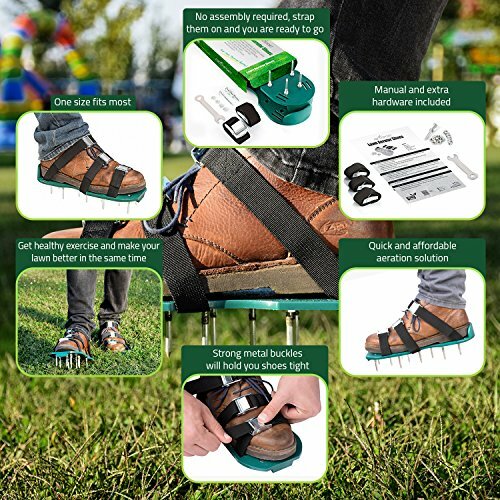 However, we are quite sure that you will find these shoes sturdy and functionally effective and you will love yourselves for the decision of buying these when you see your lawn get greener.